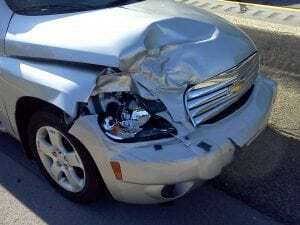 Plattsburgh, NY (March 31, 2019) – Police say that one person was injured in a two-vehicle crash that took place in Plattsburgh at a local intersection. Police did not reveal any details about how the accident took place; only that two vehicles collided with one another. The two drivers were identified as 35-year-old Tara Gonyea and 29-year-old Jacob Grogan. The two were involved in the accident around 8:40 a.m. at the intersection of the U.S. Highway 9 and Moffitt Road, according to authorities. Police did not confirm what happened at the scene of the accident or who was injured. We would like to take a moment to extend our sincerest thoughts and prayers to those who have fallen victim to this serious accident, as we understand how difficult it can be to face the aftermath of a serious New York car accident. We preserve hope that those injured will have a full recovery. If you believe that you have been involved in an accident due to the negligence of another party, we would like to speak with you as soon as possible. Our attorneys at Hach & Rose understand that car accidents can be some of the most overwhelming events that take place in your life. These accidents can impact you on physical, emotional, and financial levels as you try to move forward in your life. There are many hindrances that you might experience as you go through this difficult process. Contact us at 212-779-0057 for more information on how we can assist you.